Our wide selection of mortgage offerings will ensure that we’ll recommend the best option for your needs. If you’re looking for a licensed, reliable and dependable Whitby mortgage broker, give us a call today. Different circumstances, requirements and objectives mean that no mortgage situation is the same. We use a consistent, effective and reliable formula to develop uniquely tailored mortgage solutions for each and every client. With thousands of happy clients in the GTA we can help you find the right mortgage or refinancing solution. We understand what the leap to home ownership can feel like. That’s why we guide you through the entire process of qualifying for your first time buyer mortgage. Our experts cover everything single thing you need to know and offer unbiased advice to identify your best options, including government incentives like the RRSP Home Buyer’s Plan, reduced land transfer taxes and more. We understand the turmoil of getting a mortgage with bad credit. Unlike many brick-and-mortar banks, we have lender specialists who will extend a loan to you, regardless of your credit history. We’re also one of the only mortgage teams in Ontario offering an in-house BIA registered insolvency counselor, plus we have superb relationships with several trustees in bankruptcy and consumer proposals. A lot can change between the time you purchase a new home and your first mortgage renewal. It’s always a good practice to re-assess your needs carefully before signing your mortgage renewal as there could be advantageous mortgage renewal options available to you. We can help you negotiate different terms and potentially change lenders to save you money or shorten the lifespan of your mortgage. A private mortgage loan can be a viable financing alternative to banks or institutional lenders. We have access to a pre-vetted, private lenders with potential funding available who may be willing to take the risk on your mortgage loan. We explore all of your private mortgage options, tapping into our many years of insight and expertise to find a financing source that makes sense for you. A second mortgage is a loan against the equity of your home and can be an excellent option for homeowners looking to consolidate multiple debts or get access to cash quickly. 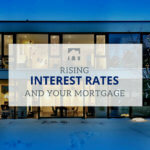 We offer low second mortgage rates with fixed interest rates that are typically lower than most credit cards. Our mortgage specialists examine your entire budget, credit and mortgage picture to help you find the best-fit. Securing a mortgage when you’re self-employed can be frustrating. Most financial institutions make it impossible to qualify in many cases. Whether you are just starting out or a seasoned business owner, our trusted mortgage lenders can secure a self-employed mortgage to help you purchase a new home or re-finance your existing one with ease. Getting a mortgage pre-approval before you start house-hunting helps you understand the house price you can afford. Once you’re pre-approved, we guarantee that the mortgage rate offered won’t change during the 90 or 120 day mortgage pre-approval period. This protects you in the event that interest rates rise while you’re house hunting. It was very nice dealing with Ross. I feel like he went out of his way to find the best mortgage deal for our situation. He was professional yet very easy-going and always easy to reach whenever we needed anything. He will also make sure to proactively follow up and find you whenever your inputs or any information is required to facilitate your case, so we never felt the need to worry or follow up with him on anything. Overall very pleased with the smooth transaction. Ross was very helpful, my wife and I had never gone through this process before. He was able to explain everything and answer any questions we had. He was always available even when we had closing and questions after hours. I will definitely recommend Ross to others. Thank you Ross for your patience, help and guidance for the seven years I have known you. Without Ross, I would not be enjoying this beautiful home. Ask Ross – he’s the boss! I’ve used Ross Taylor & Associates more than once now to secure a brand new mortgage, as well as refinance. I was very happy with the service on all occasions. Ross was always available on short notice, gave me valuable advice on all the options available, and recommended other products and alternatives. He kept the process streamlined and simple, and stayed on point with his requests most of the time. I will definitely work with him again in the future. Thank you so much for everything Ross. This was definitely a “model” refinancing in my books, we couldn’t have hoped for more from a mortgage professional. I feel very fortunate that I stumbled across your “Ask Ross” site and will always remember how surprised I was to receive such a through and detailed response to my question. We will never hesitate to refer family and friends to you and would always reach out to you in the future for mortgage guidance.